SSVMS has compiled the following articles, podcats and videos discussing student burnout, stress, depression and general wellness. If you are in need of urgent assistance, call 911. 24/7 Phone Line: 1-800-273-8255, This is a free and confidential line. 24/7 Phone Line: (530) 752-2349, You may call anonymously. With medical school comes extreme stress and a heavy workload. If you are feeling overwhelmed, try scheduling a Resiliency Consult with a licensed and vetted psychologist or life coach for a discounted rate. 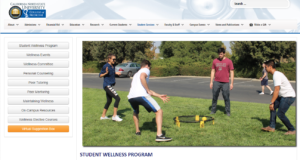 All participating providers are located in various locations in the Sacramento Region and are familiar with the stress and burden of medical school and the medical field. To view a list of providers visit the Vetted Providers page. Arts and Humanities in Medical School: A Solution to Physician Burnout? 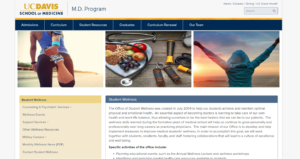 For additional Burnout resources please visit our Joy of Medicine Physician Wellness Library. If you're interested in connecting with a mentor, email Mei Lin Jackson at mjackson@ssvms.org with a list of interested specialties.